I have received this great award from Natalie, Sarah, Lia & Sue this week - thank you so much ladies, it is really appreciated. So, I am now supposed to give it to 7 people who's blog I love. Well that is not going to happen!! 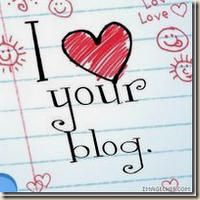 I love too many blogs for that so I would like to give it to everyone on my links list.